← Sometimes you will be the only one who believes in your dream. Do not stop. The world need you to model what’s possible for the rest of us. 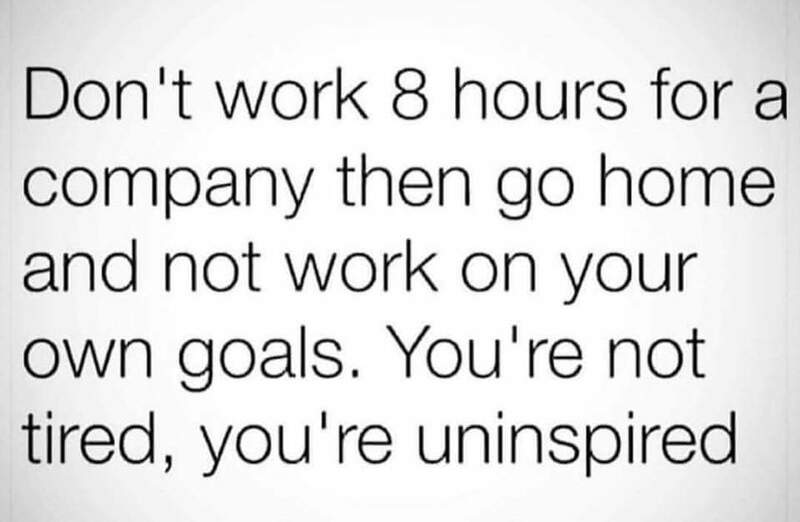 Don’t work 8 hours for a company then go home and not work on your own goals. You’re not tired, you’re uninspired!